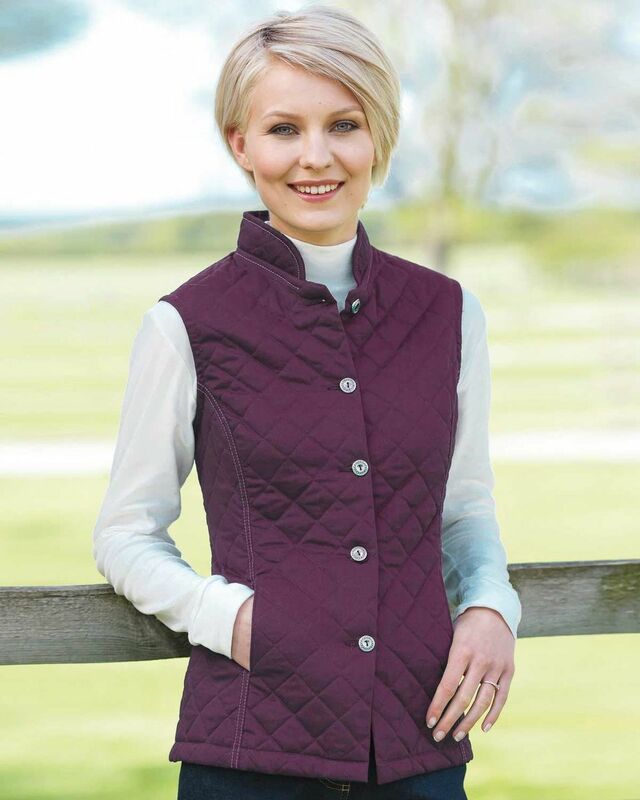 Versatile, quilted, lined gilet with wadding for extra warmth. Smart stand neckline, decorative stitching , two front seam pockets and side vents. Ideal for cooler days this gilet adds an extra layer keeping you that little bit warmer. 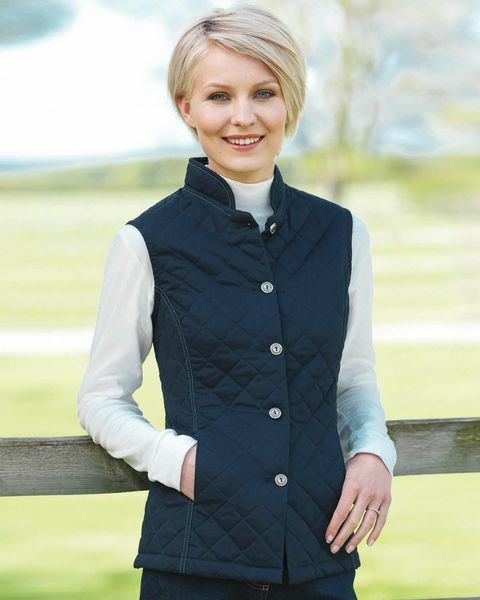 This garment is well complimented by any of our cotton tops.